Have you ever looked at the clouds and imagined seeing a horse or a pig? And have you ever looked at a scraggly branch on a tree and imagined an old, gnarled hand? If you have, you are good at seeing metaphors in nature. A metaphor is a figure of speech in which you use one object in place of another to suggest a likeness. But the connection paints a picture in your brain, and you remember it better. nature, you can help students remember the character message better. Here is an inspiring story. You may have heard of a famous pig; she made headlines. But this pig is not Wilbur, the radiant swine in Charlotte’s Web. This is Lulu, the famous lifesaving pig from Pennsylvania. This famous Lulu was a potbellied house pet. Yes, pigs make great pets—when they don’t have to live in mud and manure. Language arts. Write a story about when you were brave enough to do something you didn’t think you could do. Science. Research about pigs. Learn how intelligent they are. What kinds of contributions have been gained from pigs? Learn about bomb-sniffing pigs. Does a pig have something in its instinct that could inspire people to have courage? Math. 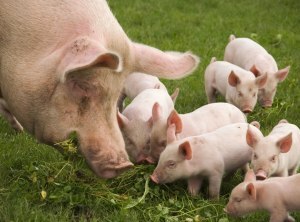 Conduct a survey of class or school to find out what people think of pigs. Give them choices, such as “dirty,” “brave,” “smart,” and “pets.” Students can calculate what percent of people gave each answer (on their own or with help). Then have students make a graph or chart. This can lead to a discussion of how easy it can be to misjudge someone without knowing who they are or the contributions they have made. Social and emotional connection. Yes, stories of animals and nature can conjure up empathy in young people. If the story of the animal touches their hearts, they will better remember and learn the good character trait and will benefit from emotional growth. 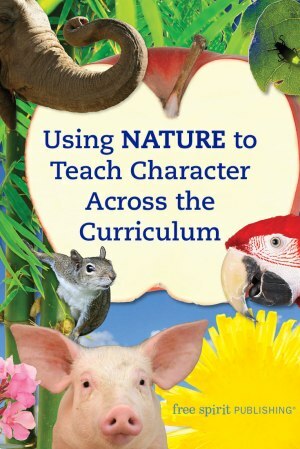 Students can benefit socially and emotionally from inspiring stories from nature. Of course, you would follow up the stories with discussion and activities. The metaphor or story gives you the hook on which to hang the character trait. Kids will remember the story. Then they can remember the trait. If you have an imagination for metaphors, you will see many ways nature might help you teach a good character trait across the curriculum. Here are a few. Endurance. Bristlecone pine trees that live on craggy, windy cliffs with little water are the oldest living trees. Connection: Living in difficult places or with problems can make you stronger. Caution. Box jellyfish are beautiful but deadly. They look like delicate dancers but have 5,000 stinging cells. Connection: Things are not always what they seem to be. Make good choices about where you go in order to be safe. The best way to be safe is to stay away from dangerous places. Loyalty, cooperation, sharing, and unity. 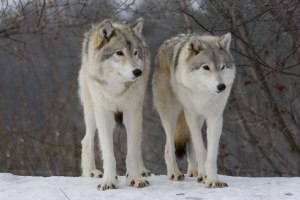 Gray wolves are very loyal. They cooperate, stick together, and share their food. They usually mate for life. Some experts think that wolves mourn when a pack member dies. Wolves will sacrifice their lives to protect the family unit. These behaviors keep the gray wolf alive and the pack strong. Connection: If we stick together and help one another, we will be a stronger team, class, group, or family. This involves sharing, cooperating, and sticking up for one another. Nature is a powerful teaching tool that is at our fingertips. It is always out there—outside a window, on paths we walk, up in the sky. It is a teacher’s natural visual aid and costs nothing but respect. ¹Barbara A. Lewis, Building Character with True Stories from Nature, Free Spirit Publishing, 2012.